Wrapper: Ecuadoran. Filler: Dominican, Nicaraguan. Binder: Nicaraguan. Country of Manufacture: Dominican Republic. Factory Name: El Credito. -- The history: Ernesto Perez-Carrillo, Cuban Senator and tobacco grower, fled Cuba in 1959, taking with him the secret of La Gloria Cubana cigars. He began making them in the heart of Little Havana in Miami, Florida in 1968, where their bold taste made them a local favorite. Then, in 1980, his son, Ernesto Jr. blended a unique combination of Dominican and Nicaraguan tobaccos to make La Gloria Cubana even more full-flavored and richer tasting. His efforts paid off, when, in 1992, Cigar Aficionado recognized the superiority of La Gloria Cubana, giving it a 90 rating. Today, produced in both Miami and the Dominican Republic, La Gloria Cubana is one of the most sought after cigars in the world. The cigar: Once Little Havana's best kept secret, La Gloria Cubana has become a favorite of cigar smokers everywhere. 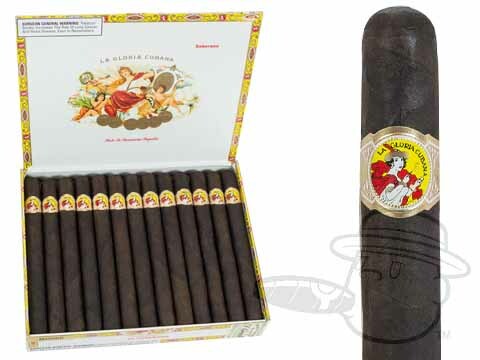 Available in 23 sizes, in both Natural and Maduro, La Gloria Cubana's special blend of Dominican and Nicaraguan filler and binder become one with its beautifully aged Ecuadoran wrapper to deliver the full, rich flavor that is its trademark. The experience: Rich, Flavorful, Full-bodied. These words perfectly describe the La Gloria Cubana's taste experience. 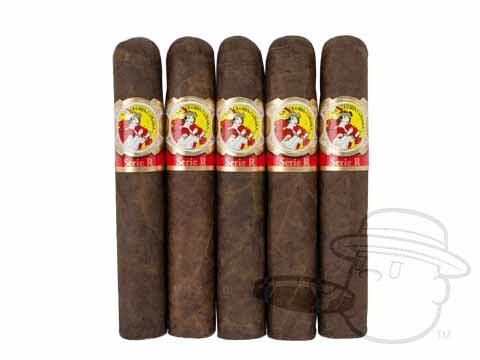 La Gloria Cubana Soberano Maduro is rated 4 out of 5 based on 1 customer ratings.